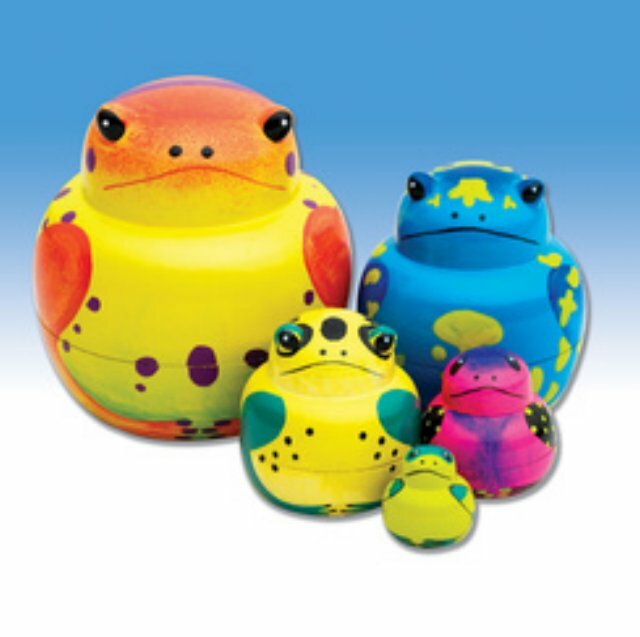 Whimsical rendition of 5 hand painted amphibians will be a welcome addition to any collection. A perfect example of color in nature, each has a unique brightly patterned design. Certain to stand out wherever they're displayed. Largest measures 3" tall.